Together we can help make the world greener! Did you know? 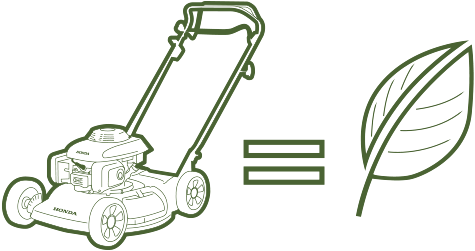 The Honda Canada Foundation will plant a tree for every Honda lawn mower, tiller or trimmer purchased at an authorized retailer in Canada between April 1st and July 31st of each year. With your help and participation, our highly successful One Honda. One Tree. campaign will continue to exceed expectations and ensure the healthy preservation of our natural environment -- making a positive impact on the Canadian landscape for years to come. Honda Canada and Trees Ontario: Forest Recovery Canada (FRC) have already planted over 140,000 trees and counting! Let's continue to promote a healthier environment for our future, together. Please visit this page in early 2020 for next season's dates. Build your dream with the Honda Canada Foundation. Created to enhance the social well being of Canadians, the Foundation awards grants to registered charities with a focus on youth in the areas of education, engineering, the environment or safety. To learn more about the Foundation, visit www.hondacanadafoundation.ca. The Honda Canada Foundation supports people and organizations that focus on four pillars: Family, Environment, Engineering and Education. This allows us to make a positive contribution to Canadians everywhere.